State prisons played an indispensable part in the terror of the Third Reich, incarcerating many hundreds of thousands of men and women during the Nazi era. 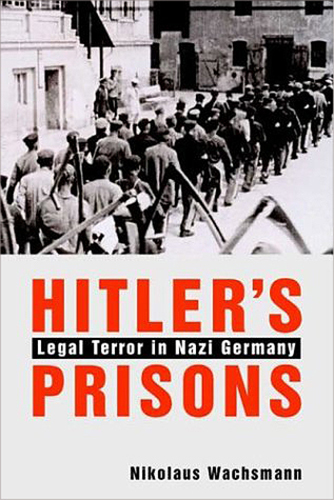 This important book illuminates the previously unknown world of Nazi prisons, their victims, and the judicial and penal officials who built and operated this system of brutal legal terror. Nikolaus Wachsmann describes the operation and function of legal terror in the Third Reich and brings Nazi prisons to life through the harrowing stories of individual inmates. Drawing on a vast array of archival materials, he traces the series of changes in prison policies and practice that led eventually to racial terror, brutal violence, slave labor, starvation, and mass killings. Wachsmann demonstrates that "ordinary" legal officials were ready collaborators who helped to turn courts and prisons into key components in the Nazi web of terror. And he concludes with a discussion of the whitewash of the Nazi legal system in post-war West Germany.